One of my favorite grad-school professors was fond of saying “What the world needs is not more answers, but more questions.” With our community’s focus on suspects for the crimes of 9/11 now pivoting back toward blaming the Mossad and Israel as the chief perpetrators, or co-perpetrators perhaps (a tempting allegation, though not yet precisely proven), maybe the time is ripe for consideration of an at least alternative hypothesis. An objection often raised that mitigates the “Israel did it” hypothesis is that IF the Mossad (Israel’s CIA-equivalent) did the operation, they must at very least have had informed close cooperation with the higher reaches of the U.S. government, for ordering stand-downs, as well as for launching and coordinating the dozen or more aerial drills that confused U.S. air defenses and clogged pertinent radar that day. But even if Israelis, the Mossad, and their gaggle of American Jewish collaborators saw to the placement of explosives and the recruitment and activation of the Muslim Middle Eastern patsies involved in the spectacle, and although there is plausible photographic evidence of what sure looks like Israeli art students posing , for whatever reason, within the bowels of the Twin Towers next to stacks of boxes labeled to contain detonation triggers, one key question remains: “Why would the U.S. government have agreed to let them do such a trauma inducing operation? Or, more broadly, why does the U.S. government seem always to cow-tow and act at the bequest and according to the wishes of Israel? In the language of the current lament, why always let the tail (tiny Israel) wag the giant dog (U.S.) – that is, of course, with the single apparent exception of Prime Minister Netanyahu and Israel’s violent objection in vain to the U.S.-Iran nuclear deal.? With that exception, then, why is little Israel always calling the shots for the mighty U.S.? Well, my own open hypothesis – without proof at this time, although it does resolve some of the conundrums – it that they’re not, but it only looks that way. What may be actually happening is that 1) the U.S. government (as all western governments, including Israel’s) are nowadays little more than franchises or shells controlled by the international banking and financial syndicate (New World Order élite). 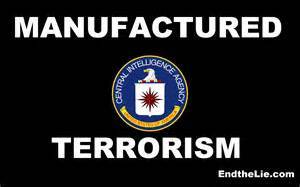 And 2) Just as Muslim terrorist patsies were employed to make it look like they did it (shades of later “crisis actors” on all levels) on 9/11, the Israelis were employed and assigned to deflect the heat off the true perpetrators, the supreme international NWO command and control system and the U.S. operation team. And in the case of 9/11, as with subsequent big picture U.S. foreign and military operations, what is called for and carried out is pretty close to exactly what the policy would have been if Israel didn’t even exist. But working Israel into the role of seeming to, in effect, order the U.S. around and having the U.S. always praise and follow the dictates of Israel, its Zionists, and the Mossad gives the U.S. (and ultimately the NWO/central bank underwriters) a foil to avoid absorbing full blame for awful things that would have been done anyway – in the same manner as al-Qaeda and ISIS have been employed as a foil for the most inexcusable and dastardly actions required. The hard-to-substantiate claim repeated often by the U.S. that “Israel is our closest ally”, when they have never provided actual troops for U.S. military operations, so far as is known, is just part of the opinion-making ruse. One additional add-on for today: I do now think the threat of imminent thermonuclear war with Russia, as absolutely insane as that would be, is distinctly possible. 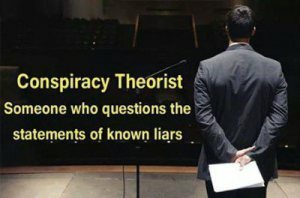 Because the ultimate supremacy of the one-world financial syndicate requires the pacification and full inclusion as puppets, or franchisees if you will, of both Russia and China, and the NWO moguls seem confident that they and their interests can survive what may be needed to bring that about – regardless how many hundreds of millions of ordinary people’s lives may be ended or ruined in the process. Stand up and demand a stand down. The International Banking Cartel is comprised of 99.9% of “Zionist Jews”! The U. S. Government and Congress is comprised of mostly of “Zionist Jews” and/or supporters of Israel front to Back! As far as “911” is concerned, Ask George Bush Sr., and his friends in the “CIA” and the financial firm (that no longer exist) on the 13th floor of the WTC that conducted business for George Bush, Sr., the CIA, and the U.S. government and the financial transactions that were “DUE”, then it would become obvious “why” the WTC had to “GO’, and someone else had to take the blamed … Business as usual! Every “Presidential” candidate, always makes a political trip to Israel…why would that be necessary if Israel was not calling the “shots”! “Zionist” Jews, historically utilize the “Macavellian” philosophy of “divide and Conquer” to further their political agenda”s because they like the Muslims believe they are the “Chosen” people of some “God”. Religions have never been for the benefit of the humankind, just certain certain political/religious fanatics! We humans have “forgotten” that their is “only” one race on this planet, “THE HUMAN RACE”! Wake up humans or nothing will change! I agree Suna. Did you know that candidates had to appear in Israel before the primaries to get their ok?